Loyalty costs issuers billions of dollars every year and that only continues to grow as today's consumers demand increasingly better rewards from their cards. This is all while interchange revenue, the funding vehicle for rewards, continues to go down. This creates an unsustainable market for both issuers and their customers. Kard has solved this problem by combining our leading merchant-funded rewards program with an integrated shopping application, where users can earn rewards up to 20x at any of our 10,000+ merchant partners. 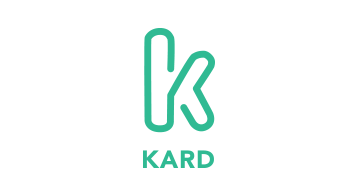 Kard seamlessly integrates into an issuer's rewards program and is entirely merchant funded, helping to offset their loyalty costs while at the same time increasing customer loyalty and transaction volume. For consumers, we have eliminated the "deal hunting" and complexity in their credit card rewards. As a user you simply link your card to our application, and then anytime you shop at one of our merchant partners you will receive our deal. Without having to activate rewards or link to your card. We have deals from 10,000+ retailers, merchants, and restaurants around the United States with live offers in over 200+ cities. For our thousands of merchant partners, we're helping them transform the traditional affiliate marketing model into a campaign based model, sharing that marketing budget back with their customers. This increases loyalty among their customers as well, helping drive brand awareness, increase conversions and market to new customers through our issuer base. We finished up our Techstars accelerator program last summer, have completed a successful pilot program with Barclays Bank (the 9th largest issuer in the US), and are now expanding to their US-based customers.